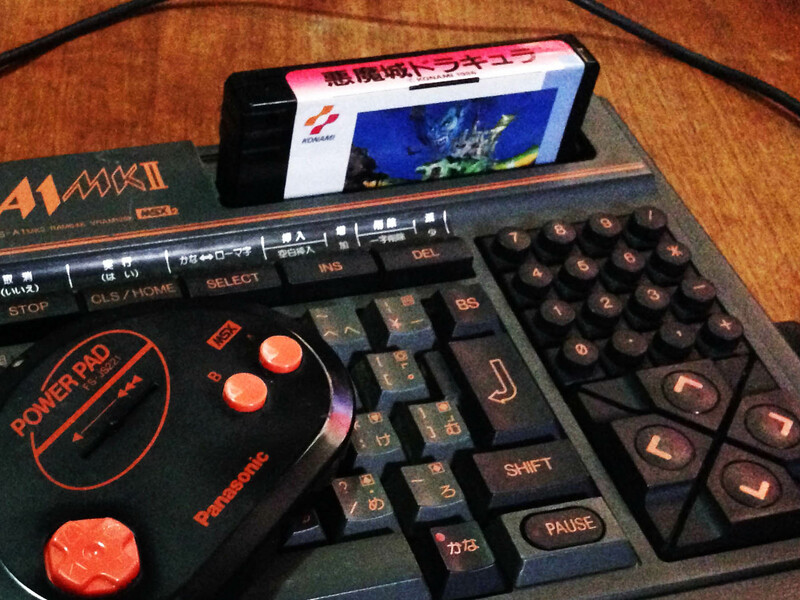 Panasonic MSX2 computer (and Akumajou Dracula for MSX) – Nintendo Sega Japan! You don’t have to look too far into 80s Japanese gaming to see that the biggest competitor to the Famicom was not the Sega SG1000 or Mark III – but a console-like home computer platform – the MSX. Invented by Microsoft Japan, MSX was designed to be a standard platform for computer manufacturers, for which Microsoft could provide the operating environment and sell their other software. In effect an early version of the racket they later managed worldwide with Windows. I became aware of the MSX in the late 80s, when many of the catalogues and promos that came with my imported Famicom games featured ads for MSX games. What got many Japanese gaming enthusiasts’ attention early on were the big Konami franchises like Akumajou Dracula (Castlevania) and Metal Gear that got early entries on the platform. Many Hudson Soft game series started on MSX as well. What’s nice about MSX computers is that they bear much more resemblance to consoles than lots of other 80s PCs. Most are standalone, single piece units with the keyboard built in. This model is one of the most compact models – so even with the built-in keyboard it’s smaller in size than many consoles. They were designed to be plugged into a TV, so there’s no looking around for specific retro monitors or video converters. Most MSX computers have standard composite AV out, and many have RGB out, allowing for a great quality picture via any RGB capable TV (or modern scalers like Micomsoft XRGB units). Probably best of all, MSX computers feature a cartridge slot, and while this design feature was present in many 8-bit and 16-bit computers, unlike most of the others a good deal of the best software for the platform was released on cart. This means plug and play simplicity, and less fiddling around trying to get old floppy disks to work. Power wise, there are two main generations of machine, the MSX and the MSX2. The MSX was first announced in June 1983, and features similar graphical and processing power to the Sega SG1000 and several other platforms that used the same basic design, including the Colecovision and the ZX Spectrum. While there are some good games (including the first ever Parodius game) MSX1 games are fairly primitive, mostly featuring 1/2 colour sprites, and little scrolling. The lack of hardware scrolling makes the many shooter games on the platform very choppy, as they ‘scroll’ 10+ pixels at a time. Ultimately, just like the SG1000 it is dramatically outclassed by the Famicom in terms of gaming, despite the Famciom being released earlier. 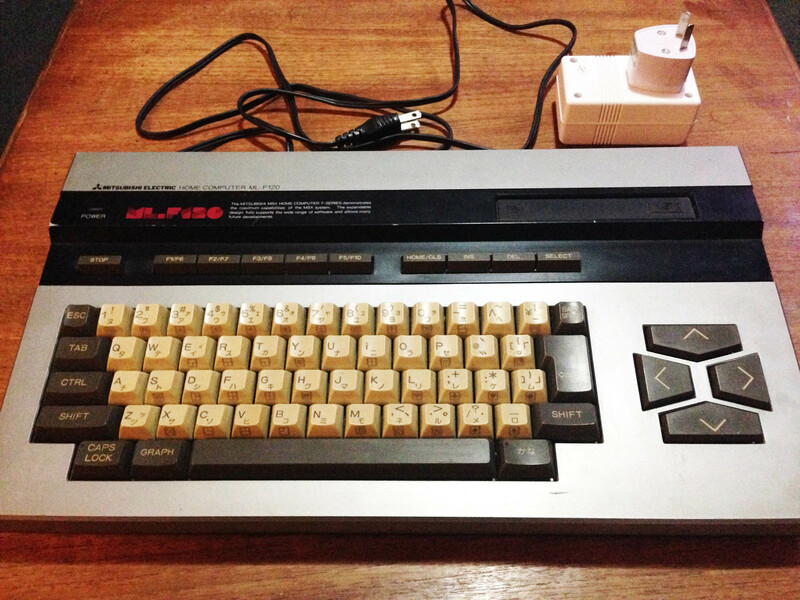 The MSX2 was introduced in 1986, and is much closer to the Famicom. It can produce more detailed graphics and features more colours, but usually at a lower framerate, so games feel more choppy. In a pretty huge design oversight for a post Super Mario Bros platform, the MSX2 hardware is still not capable of horizontal scrolling. As such, a huge number of games for the system utilise Legend of Zelda or Montezuma’s Revenge ‘flip screen’ style progression. This heavily influenced the way many games were designed for the system, and Metal Gear as we know it today was created around these limitations. Is the MSX worth it as a pseudo-console retro gaming machine? Absolutely. There are heaps of great games, and the hardware is easy to get and easy to use. It can be confusing because there are a lot of different MSX models, but really any MSX2 model will cover 95% of games. The biggest downside is the price of games. The software typically sold less so is in much shorter supply than the main console platforms, and it has a very dedicated fan base, so prices for top titles these days are sky-high. 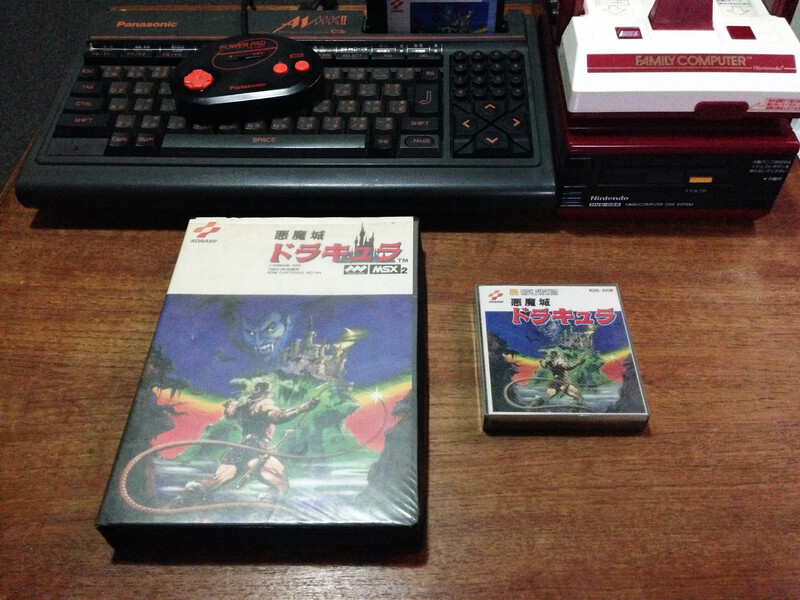 I originally got an MSX2 just to play the alternate version of the original Akumajou Dracula. The MSX2 version was released mere weeks after the Famicom Disk game, so they were clearly developed in tandem. 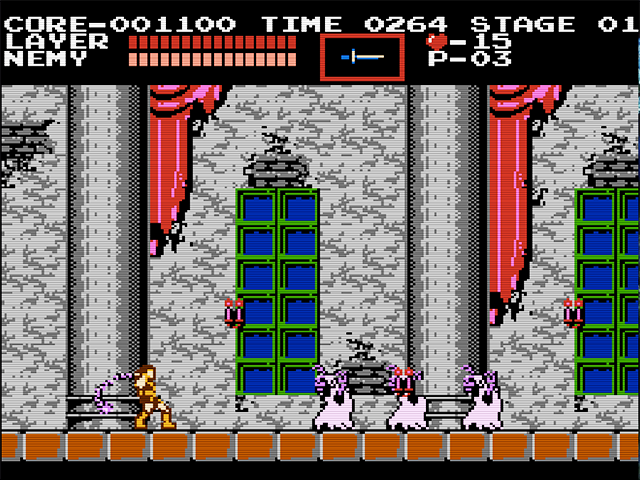 The typical MSX flip screen design element is present, and realising the limitaions of the platform for action games, the designers instead focused on other things, and turned it into a Goonies style puzzle adventure. 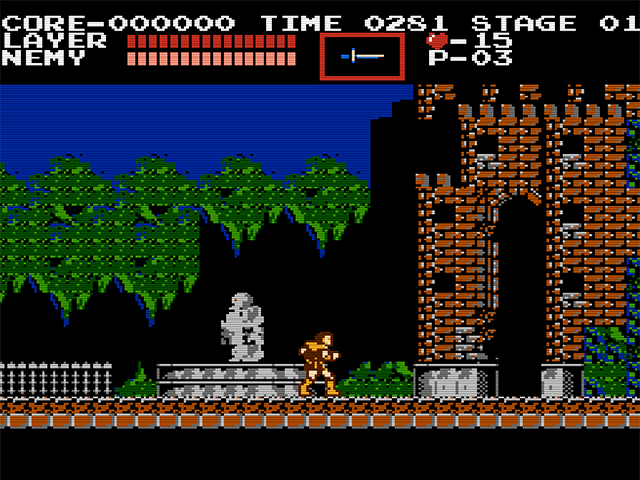 Instead of just fighting enemies and passing platforming challenges, you also have to collect hidden keys to open doors and progress to the next part of the level. It’s really a lot of fun, and a completely different take on the same basic levels. It’s more rough around the edges, but also more interesting. The big question is – which Akumajou Dracula reigns supreme? Famicom Disk, or MSX2? The short answer is the Famicom Disk version, by a small margin, it’s just such a solidly designed classic game. While it’s mostly due to the platform, if you play the Famicom version immediately after the MSX2 version, while the graphics are a slight downgrade, the smoothness and responsiveness really hits you, it’s just a more refined game. 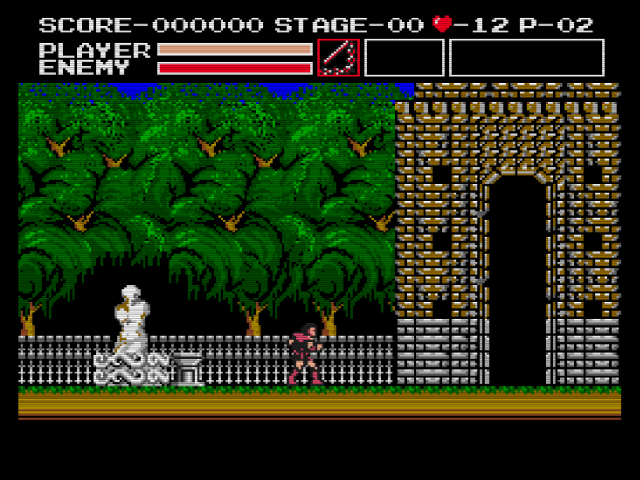 The music is also marginally better on the Famicom, despite the game not even using the extra FDS sound channels. 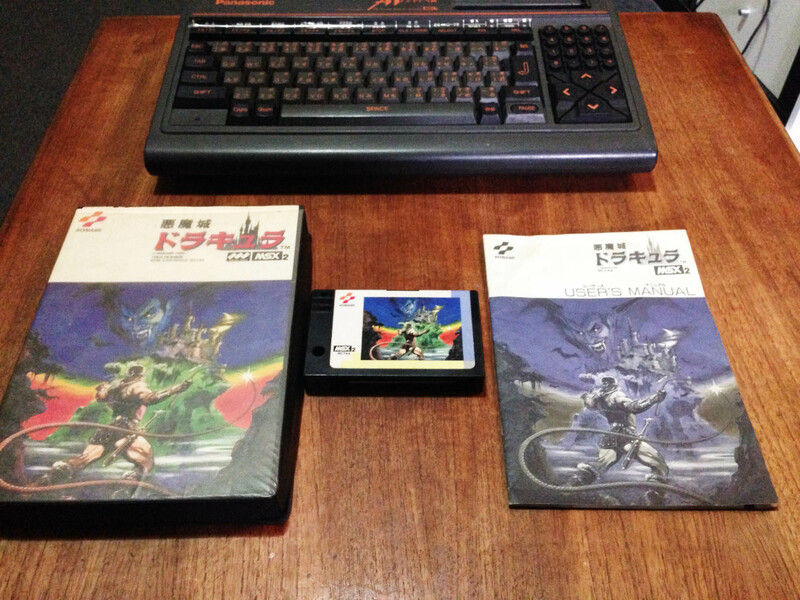 The MSX version is still great however, and a completely different experience. 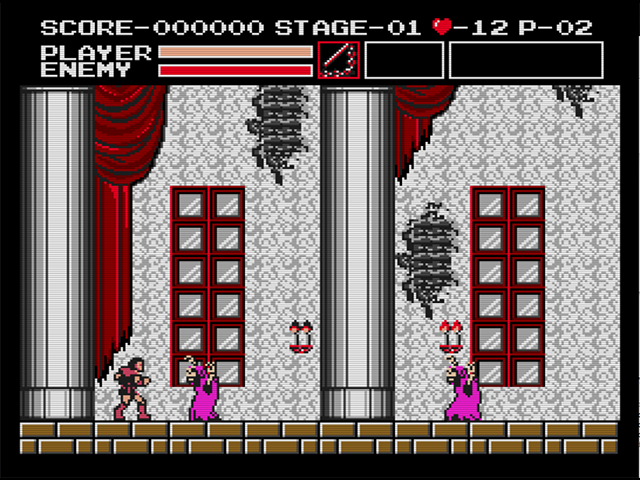 And what’s most interesting is that the Famicom Disk-only sequel Dracula II: Noroi no Fuuin is clearly a sequel to both games. Simon is wearing his red gear from the MSX version, and it expands on the exploration and puzzle elements of that version that were not present in the Famicom original.